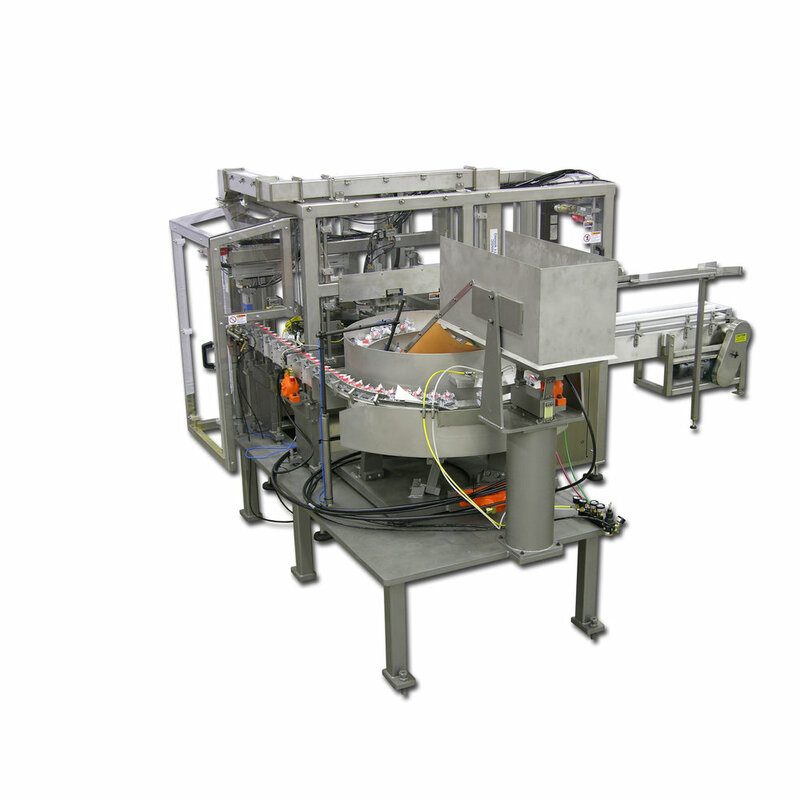 In addition, rotary bag fillers are easy to implement: one operator runs the filler in production mode. The operator initially loads the bag web into the machine and selects the product to be run from the operator interface. The filler runs in a fully automated mode and signals the operator when bags need replacing. 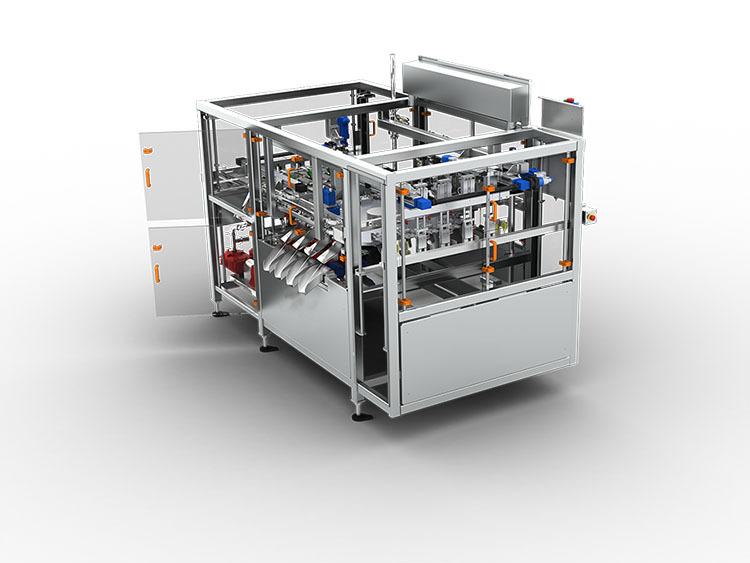 Product changeovers from one fluid to another only take three steps: system drain down, automated clean-in-place cycle, and product selection by the operator at the interface. Station 1: Four bags are transferred from the bag handling in-feed mechanism. Station 2: Each bag is simultaneously evacuated by vacuum and filled with product. Four stainless steel fill valves descend and seal against each of the bag neck openings. Vacuum can be drawn on the bags to remove any residual air before the valves open to allow product flow. The product is pumped by means of four servo-driven PD pumps. At the end of the fill, the valves raise up and when required packages are topped off with a programmable quantity of NO2 to eliminate oxygen. Station 3: The pump fitment is then inserted into each of the four bag necks in a repeatable and relative position to the centerline of the bag and pressed into place. In cases where the dispensers are not pre-seated, a vibratory bowl feeder can be used to singulate and position the pump/nozzles and present them to a servo-driven (X and Z axes) four-up, pick-and-place mechanism. Station 4: The filled bags will be ejected and dropped down chutes to boxes. Box infeed/outfeed: Pre-erected boxes are fed and staged in a four-lane in-feed belt conveyor to receive the filled bags adjacent to Station 4. Bags drop into the boxes and a pneumatic pusher transfers the filled boxes onto an outfeed conveyor. When the pusher retracts, four more empty boxes move into position to receive filled bags.